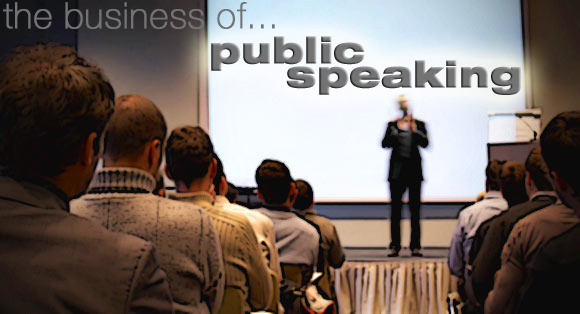 The world of public speaking is one tremendous giving and receiving – giving your message/passion and receiving the satisfaction that comes from a well-delivered talk on stage. Sure, if you’re a speaker you will give a lot – running a business, delivering compelling talks from stage, teaching, training, educating – everything it takes to provide value to your clients. After all, you are the perceived authority and you give all you have, exuding passion every time you step in front of the microphone! 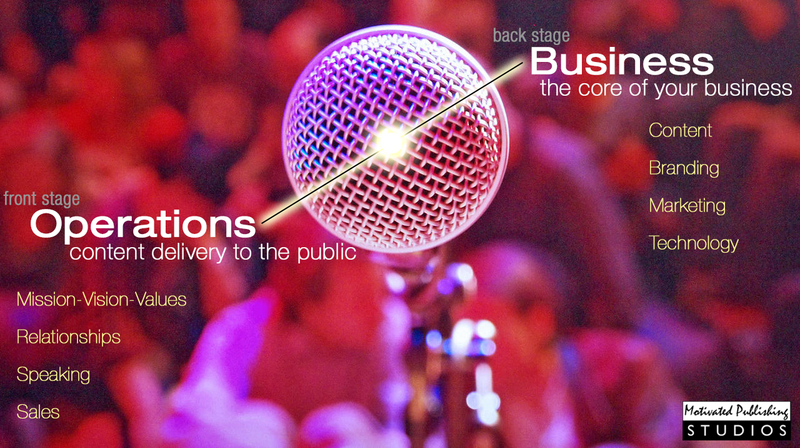 In my 20+ years of working with and helping public speakers, these are often common elements of what drives one to become a speaking professional. What I have seen happen time and time again, is that it is tough for one individual to handle both – and do them both well. This aligns with what I personally believe and what I see many experts teach – it is important to focus and expend the majority of your time/efforts on the things you do well and are passionate about (Dan Sullivan calls this your Unique Ability). But it doesn’t end there, the second part of this is to surround yourself with talent that fills in the voids (ie. to do the things that you do not do well and don’t necessarily like to do). This represents all of the business development, technology and key strategy for providing the content, or IP (Intellectual Property). The business side of things is often where the details reside, details that typically should not consume the time and talents of the entrepreneur. These are “back of stage” activities that aren’t directly involving contact with your client(s). Each of these elements has tremendous value in attaining success, but knowing how to implement them correctly can often be the struggle. Something as simple as understanding how modern technology has revolutionized this industry can totally affect the implementation of a successful business plan. But how do you get this information? Do you try to become the expert? No, the answer is to seek guidance from an expert in the area – a person who has a vested interest in your success and is in alignment with who you are and what you represent. This represents the core activity of executing your business plan. Usually this is where the unique ability of the public speaker shines through. These are the “front of stage” activities that the public speaker loves to do and needs to spend the majority of the time and efforts executing. The first key step is knowing – knowing that there are two core elements for success in the public speaking (keynotes, teaching, coaching…) industry. The next step is to seek out the solution for your success. Develop a relationship (it may already exist) or partnership with someone that fills in the void of your needs. They need to be in alignment with you and your message, in addition to having the skills and experience to execute the back stage elements of your business. If done correctly and with the right person, you’ll have success. Your IP will be protected, developed and delivered by a passionate and driven “you.” After all, didn’t you get in business to speak?